Today I have a real luxurious, pampering treat to share with you! 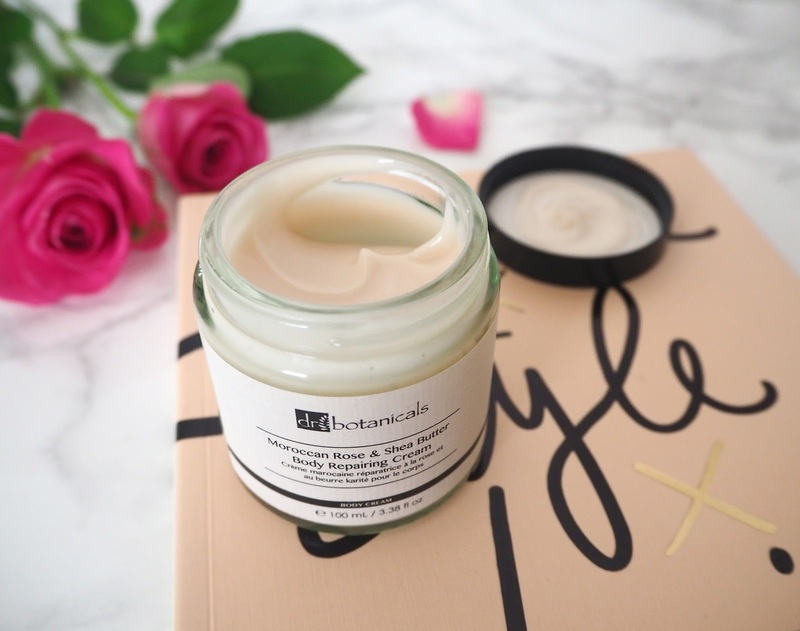 As Valentines Day is coming up Dr Botanicals are featuring their Moroccan Rose range as part of their campaign to "Love your body this Valentines Day". Excitingly this entire range is all at sale prices! Their star product is the fabulous Moroccan Rose & Shea Body Repairing Cream. Delicately formulated with a unique blend of botanical actives to keep soft supple and hydrated. Just what our parched skin needs during these cold months! As soon as I lifted the lid I could smell the gorgeous exotic aroma! That Moroccan Rose oil combined with Apricot Kernel is so dreamy. It reminds me more of an expensive perfume than a body cream, a real seductive scent perfect for a romantic night in. It's incredibly luxurious and this 100ml jar will last you as a little goes a long way. It's not a thin cream but neither is it super thick meaning it absorbs really beautifully into the skin. Moroccan Rose Oil | Rich in Omegas 3 and 6 which aim to firm and hydrate the skin. Shea Butter | Contains high levels of Vitamins A, F and E which aim to protect, soothe and rejuvenate the skin, leaving it soft and hydrated. Apricot Kernel Oil | A fantastic source of Vitamins A and E, rich in essential fatty acids, which aim to deeply moisturise and nourish the skin. Ximenia Seed Oil | Soothes and nourishes dry, sensitive and chapped skin. This divine Body Cream is currently on offer during the month of February at only £24.99 down from £89! Even better you can get an EXTRA 20% off this product as well as the whole Moroccan Rose Collection by enter this code at the checkout. 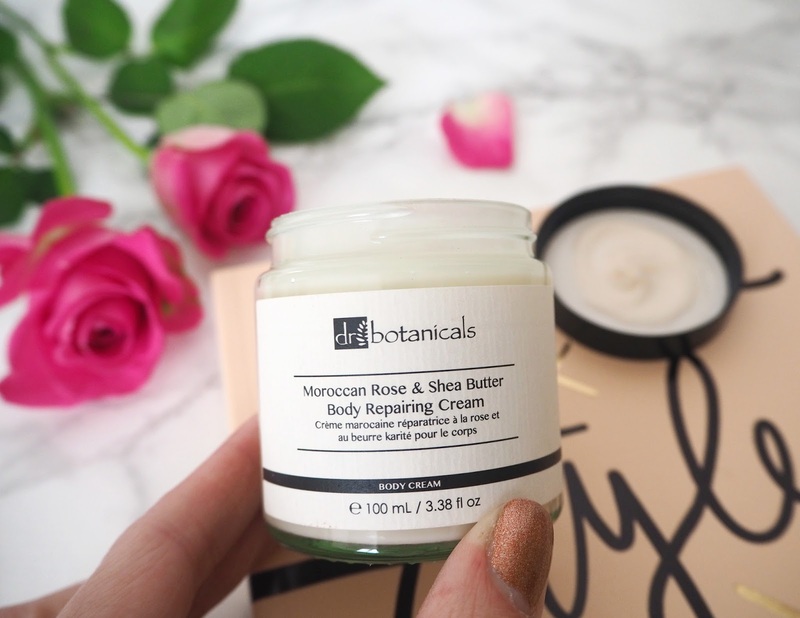 Meaning you can purchase this body cream for a mere £19.99 - an offer too amazing to past up right?! I think this would make a perfect gift to pamper your loved one on Valentines Day or for Mother's Day (drop some hints!). Or even better just treat yourself! The code is valid only until the end of February. 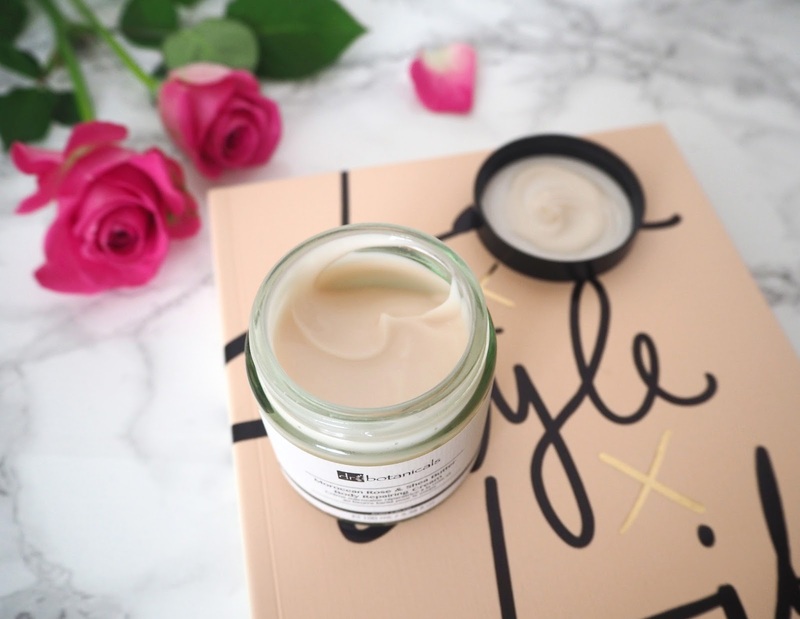 I am excited to announce that I have become a brand ambassador for Dr Botanicals, I will be featuring a star product every month on the blog so keep a look out for lots more discounts & reviews from this range! What will be your treats this Valentine's Day?